Ethiopian prime minister on Friday threatened to take “stern action” against those forces which do not give up violence. Abiy Ahmed was responding to questions of lawmakers at parliament. Most of the questions raised by the parliamentarians were related to the violence recurring in numerous parts of the country, causing deaths and destruction of property. According to International Organization for Migration, 2.3 million people have been internally displaced in Ethiopia to date mainly due to instigated ethnic violence. “It is the duty and responsibility of regional governments to keep the peace and security in their respective regions,” Abiy said, recalling that budget subsidies have been made to regions in this regard. However, according to him, if the regional states went short of the capacity to deal with the violence, the federal government would intervene upon invitation of the troubled region to help cope with any disorder. Earlier this month, the Ethiopian army intervened in West Wollega zone in the restive Oromia regional state, the largest and most populous region in Ethiopia, to quell an offensive launched by an armed group. 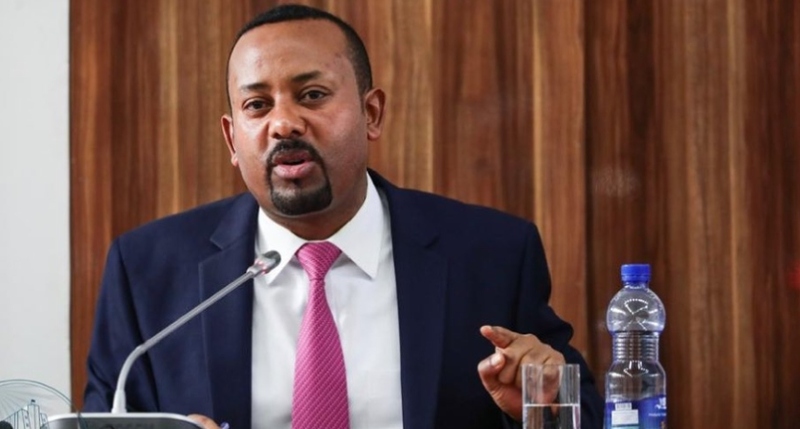 “It has not taken our army two months to put the situation under control and ensure a return to law and order in Wet Wollega,” Abiy said. “The Ethiopian government had significantly widen the political space by pardoning more than 20 armed and unarmed political parties, and people are expressing their thoughts. Now no one can accuse the government of undemocratic behavior,” he added. However, he said, there are some elements who are attempting to reverse the reform. “It should be clear that there is a limit to patience,” the prime minister added.